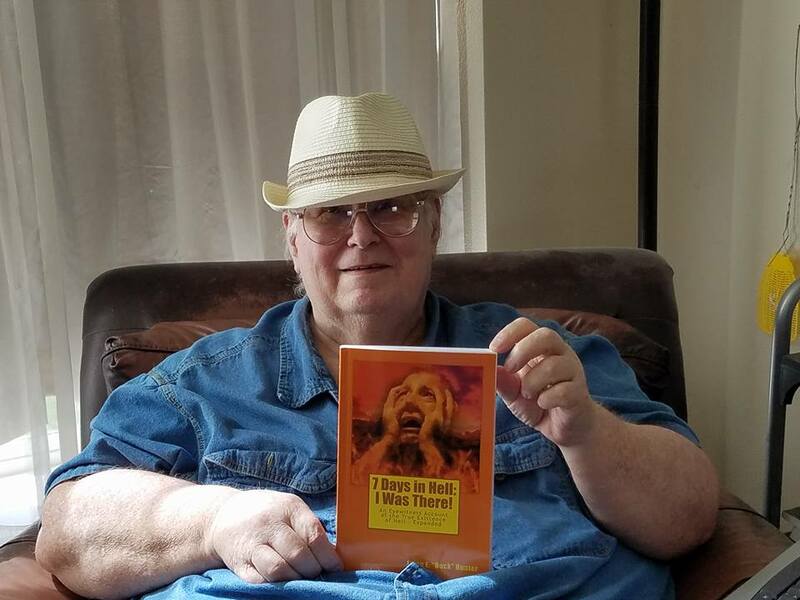 Nicole Chidester, Your Publicity Company, Announced: Larry E 'Buck' Hunter, Author "7 Days in Hell, I was There", is Now Available for Interview! 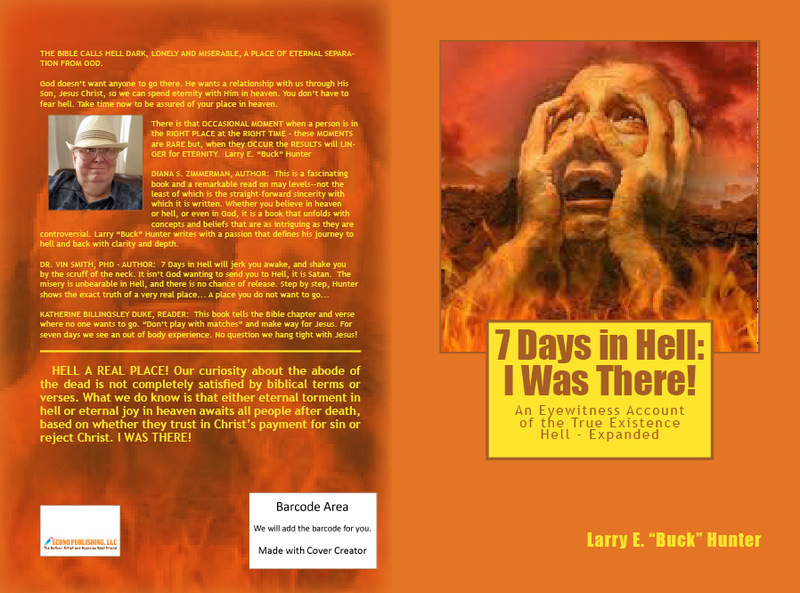 INTERVIEW OP: An Eyewitness Report That HELL IS REAL! Larry E. "Buck" Hunter was sentenced to a 72-month sentence for money laundering in a US Federal Prison Camp. While fulfilling his sentence, Hunter ministered in the Camp Church. There, others would often tell him, "Why don't you just go to Hell?" This got him thinking. FOR most people, the expression "go to hell" is merely a verbal insult designed to pack a punch. But for author and broadcaster Larry E 'Buck' Hunter it conjures up a very real and vivid experience of a place he never wants to return to. Larry E. "Buck" Hunter was sentenced to a 72-month sentence for money laundering in a US Federal Prison Camp. While fulfilling his sentence, Hunter ministered in the Camp Church. There, others would often tell him, "Why don't you just go to Hell?" This got him thinking. Realizing what a horrible thing that was to say, he would often reply to them, "That is a fate you should not wish on anyone" with a counter response, "Well, why don't you tell us what hell is like?" Hunter wanted to give a true response to these individuals because his answer could change their lives forever. He prayed that God would show him what Hell was like, and one day his prayer was answered. It became an experience that would change Hunter's life forever. God did show him hell, in a dream vision and it was worse than he could ever have contemplated. He says, "I was there. The dream vision God gave me was so real I actually thought I was there, in hell and not dreaming." Knowing what he knows now, Hunter set out on a mission to ensure people would never have to endure that fate, to spend the rest of eternity inside the gates of Hell. He needed to tell people what it's like, in true detail with hope that eyes are opened with his revelation. To do so, Hunter penned a book titled "7 Days in Hell, I was There". This book gives a gripping account of his encounter in a place most people fear using his eyewitness account. 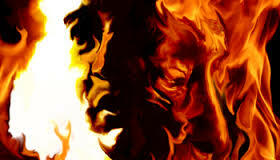 "I know I was there; Hell is REAL." Interviewing Hunter your audience will get to hear his first-hand encounter through these visions, why he believes he had a true "out of body" experience when he saw hell making it more than just a dream, and why Hell is no place anyone should want to spend eternity. Today's Steals And Deals, Inc. Is A Total New Concept Of Marketing Surplus Merchandise! HELPS Resource Center, a Non-Profit Charity, Seeks Support for Its Community Programs and Resource Directory! Hundreds Of People Are Utilizing Our First Boise, Idaho HELPS Resource Directory!